After the death of Thomas A. Dorsey in 1993, Mr. Evan Wilson, a resident of Villa Rica expressed a desire to do something locally to honor Dorsey given that this was his place of birth. The idea evolved and a choir was formed to pay tribute to Dr. Dorsey and continue the legacy of gospel music. Reverend Verlyn Styles, Mrs. Shirley Marchman, and Mr. Charlie Styles were instrumental in starting the Thomas Dorsey Birthplace Choir. Letters were sent out to the community and rehearsals began. In July 1994, the Thomas Dorsey Birthplace Choir debuted at a ceremony that honored Dorsey’s life and music with a Georgia Historic Marker, Villa Rica’s first. 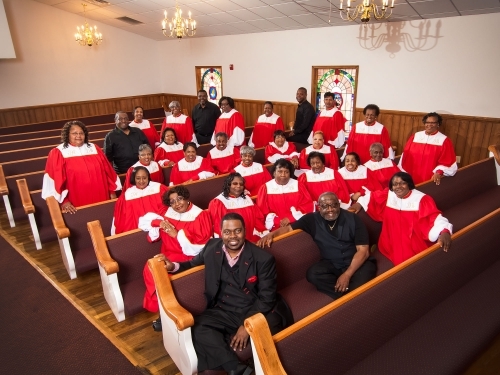 Later the same year in October, The Thomas Dorsey Birthplace Choir was inducted into the National Convention of Gospel Choirs and Choruses (NCGCC) which was co-founded by Dorsey. The NCGCC was organized in 1933, and Thomas A. Dorsey was elected as its first president. As a member choir of the National Convention of Gospel Choirs and Choruses, the Thomas Dorsey Birthplace Choir has traveled extensively. The Birthplace Choir has traveled to North Carolina, Florida, New York, Illinois, Massachusetts, South Carolina, Washington D.C., Ohio and Texas. Throughout the year, some members attend the Southeast Regional Conference of the NCGCC in January; the Board Meeting for the NCGCC in April; and the National Convention of Gospel Choirs and Choruses in August. In addition to being involved in the NCGCC, the Thomas Dorsey Birthplace Choir participates in other national and local events. The Birthplace Choir performed at the New England Conservatory of Music and the House of Blues in Boston, Massachusetts two consecutive years. Other activities include performing at the University of West Georgia with the Men’s Choir from England, singing back up for Dorothy Norwood, and singing at the historic Ebenezer Baptist Church in Atlanta, Georgia. In 2014, the Birthplace Choir had the opportunity to sing at the Georgia Roots Festival at the Woodruff Arts Center in Atlanta, Georgia. Another endeavor for the Thomas Dorsey Birthplace Choir was to record a music CD. In 2009, the Birthplace Choir took to the studio and recorded its first CD entitled “For My Good”. The CD included six songs that were written by Thomas Dorsey including ‘Precious Lord’. Recording artist Dorothy Norwood was also a guest soloist singing ‘Servant, Well Done’ which was written by Eric Ayers. The CD was produced by Eric Ayers and Rico Henry and has blessed many souls. 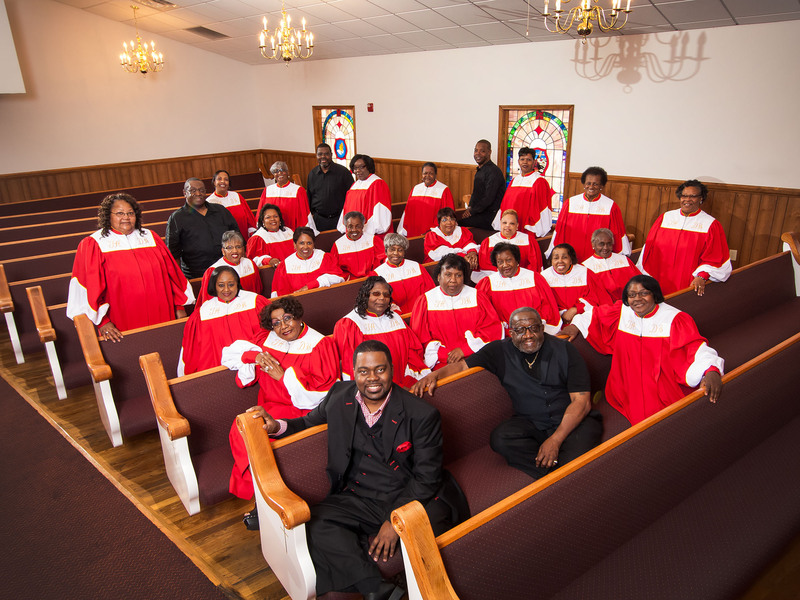 The Thomas Dorsey Birthplace Choir consists of approximately forty voices from local churches and the surrounding Villa Rica area. The choir is seeking new members who enjoy singing gospel and have a desire to help keep Dr. Dorsey’s legacy going. Monthly rehearsals are held each Saturday before the second Sunday at 5:00 p.m. at Mt. Prospect Baptist Church. Mrs. Shirley Marchman serves as President, Mr. Eric Ayers as Minister of Music and Ms. Brenda Williams as Choir Directress. To God be the glory for all the good things He has done! 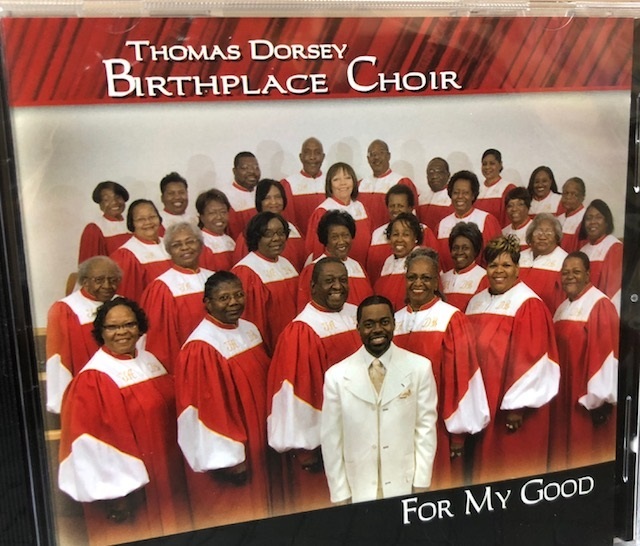 Get your Thomas Dorsey Birthplace Choir CD! Email or call 770-459-5918 for information. 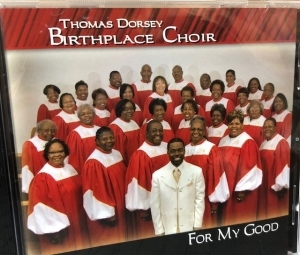 Get your Thomas Dorsey Birthplace Choir CD! Email or call 770-459-5918 for information.